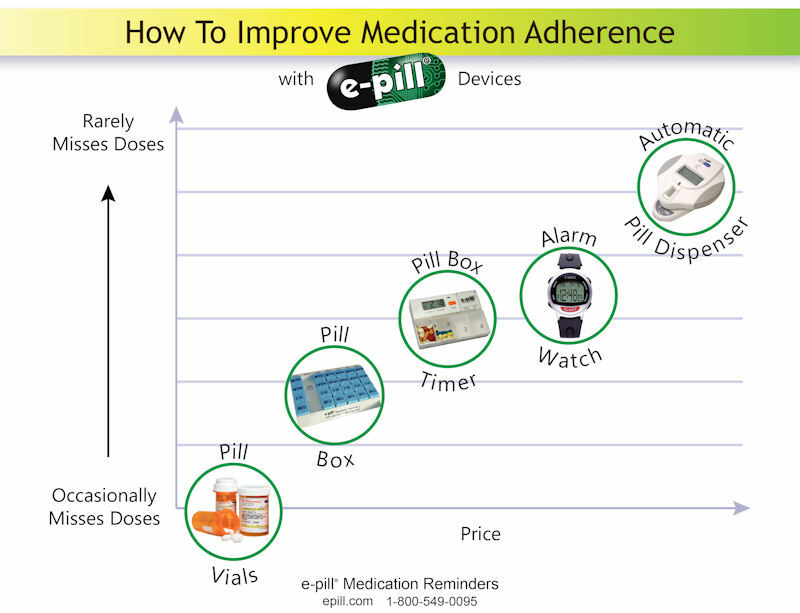 Our Company: e-pill Medication Reminders (e-pill, LLC) is a rapidly growing company located on Route 128 in Boston. 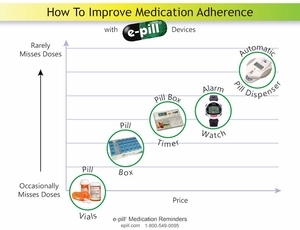 Medication Adherence: Since 1999, we have focused on innovative ways to monitor medication taking and helping patients remember to take their medicines correctly (right time, right medications, right dosage). Our “e-pill Medication Reminders” have been featured on national TV (CBS, CNN, NBC) and in print media (Reader’s Digest, Washington Post, Business Week, WSJ). Healthcare professionals throughout the 50 states routinely recommend e-pill medication reminders and our devices are used in clinical trials by the pharmaceutical / biotech industry. Our Guarantee: We offer award winning customer service (we have received the "Top Service" award by Yahoo! for superior customer service), 30-Day Money Back Guarantee and a One Year Warranty. All e-pill devices come with batteries and are ready to use right out of the box. Please try our customer service today!